Once the game is fired up and your past the usual SEGA screen (done in a cutesy way with Yui’s voice) a short introduction is done with the characters and away you go with the first song. Ok I’m gonna get a little issue out of the way first. There are only 19 songs in total. 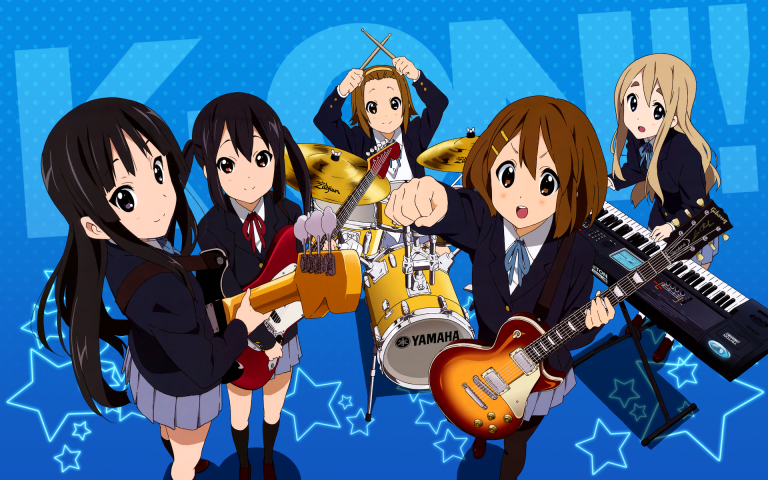 Compared to its peers, K-ON! !’s list is a little short. 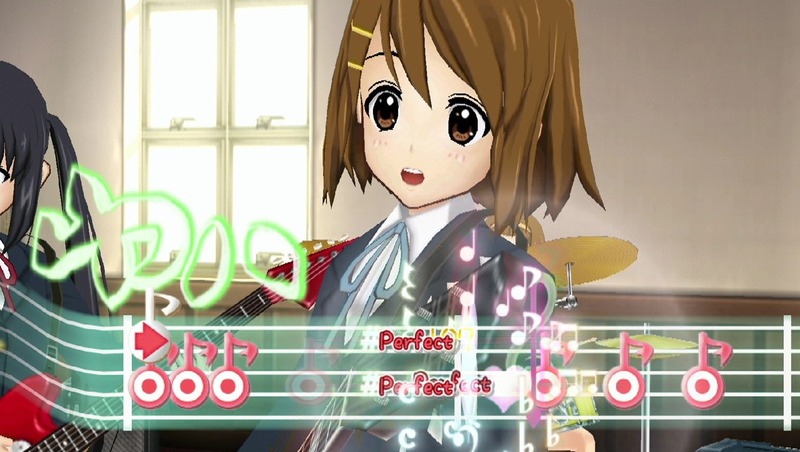 I’ve said its only a little issue as it is somewhat alleviated by the fact there are 5 characters (Yui, Azusa, Mio, Tsumugi & Ritsu) that all play different instruments, which gives each playthrough of a song a unique flavour. It just wouldn’t be an eastern released rhythm game these days without the customary costume changing etc so that’s all included. You unlock items & clothing as you progress, which can be used to boost performances or even unlock special events, all depending upon how high your final grade is at the end of each song played. During your time through the game you will unlock said events (kinda like a story segments), but also having certain characters in certain locations (more than just the classroom to visit) with certain items you give them can unlock even more (40-50 events reputed in total) The multiplayer from the portable release is still featured here. 5 players are able to join and each takes the role of a band member for their part in each song, at the end each person is graded on how well they contributed to the performance to add a little bit of a competitive edge. Unfortunately on Ps3 this mode uses the now defunct ad-hoc party, which has you relying on others using the app to get a game going online. I never managed to sample this on Ps3, a far cry from the few sessions on PsP via direct ad-hoc, and ultimately that was a little disappointing. The multiplayer was a surprisingly good feature on PsP that’s unfortunately a non starter on console. Lets get something out of the way before discussing the games presentation regarding what exactly it is. The games case sports a ‘PsP Remaster’ & ‘HD.ver’ moniker, so which is it? Judging by what I’ve seen its pretty much just a resolution and AA boost over the handheld release. The assets are pretty much identical, though they are now freed from the PsP low resolution and look surprisingly good scaled up, so I’d say ‘HD.Ver’ is about right. 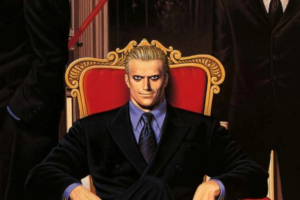 Graphically, the game mixes two character styles into it’s cel-shaded look. 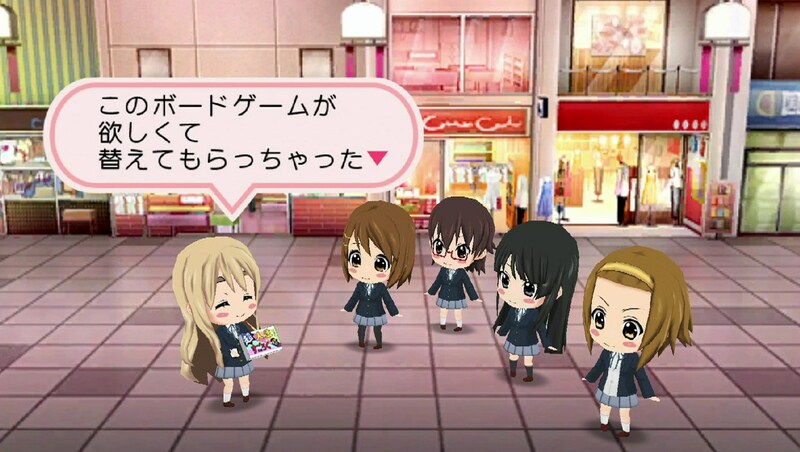 When doing anything other than playing through songs, a cute Nendroid/Chibi style is used for the characters. When playing through songs, a typical anime style is used that resembles the show quite well in all its moe glory. The fidelity on show is still impressive on the big screen, there’s occasionally some nice detail to the backdrops too, with a rock solid framerate making sure timing errors are your own. One key presentation addition for the PlayStation 3 release is stereoscopic 3D. Oddly enough the game seems to default to 3D when connected and there doesn’t seem to be a toggle within the menu, but aside from that its a good addition. There’s a good amount of depth & dimensionality to the scenes, and that’s how the visuals shape up as the lack of any distracting pop out effects makes for a comfortable experience overall. The 19 tracks on the game are all well produced too. Not only are the MV’s good to watch, in 2D or 3D, but the songs are also well done. Considering the music is based around a 5 person rock band, theres a nice variety to the songs with a few surprisingly catchy ones that stick in your mind & put a smile on your face. With this being a rhythm game, you’ll already have an idea on how the game is going to play. 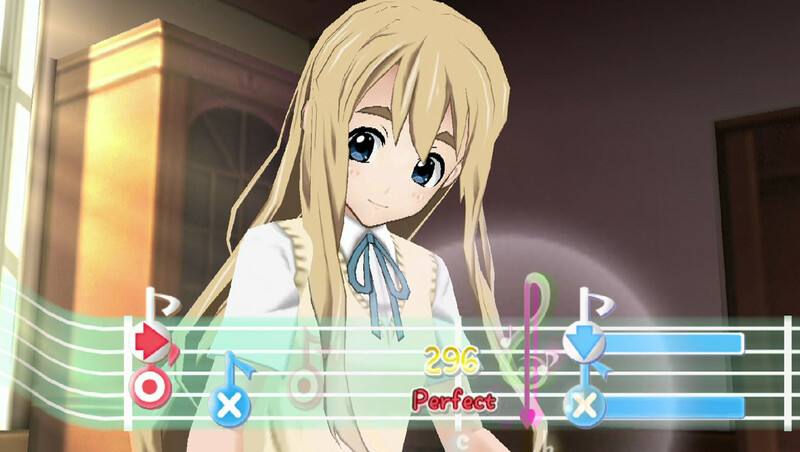 The playable songs have two difficulties, normal and hard, with the score you receive depending on how you performed while playing the song – as you’d expect. As with any rhythm game, you have to hit the right button when the music note goes over it and chains are formed until the player misses a note. 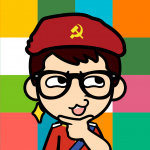 Sounds like your typical Rythmn Game mechanics so far. Each playable character has a different way to play though, and this is where the game shines the most for me. The numerous instruments of each character offer a different rhythm to each other, It’s this way the game has structured each song that makes it feel like there’s more than just the 19 tracks. Having 5 ways to play a track with 2 difficulty modes gives a much higher amount of unique playthroughs than first thought. As with SEGA’s other rhythm series, Project Diva, the gameplay is incredibly responsive & feels as refined as a series that’s been around for years with mechanics that just work. 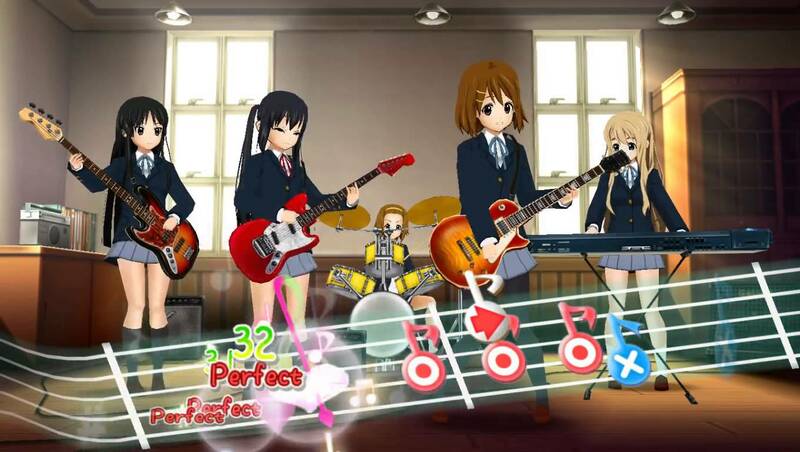 Top notch gameplay that fits the K-On series perfectly, although the notes being on a bar that you have to follow can lead to the odd missed note when the next bar is up and a note is really close to the start. Still, its only a minor issue that you’ll no doubt get fully used to after a few songs are finished up. K-On! Houkago Live!! HD Ver. takes the original handheld version and rocks it out on the big stage with the same gusto. Unfortunately there isn’t actually much in the way of remastering work, and the multiplayer is practically a no show without direct ad-hoc, but the gameplay is still just as good – the addition of 3D is also a nice touch. If you’re a fan of K-On! 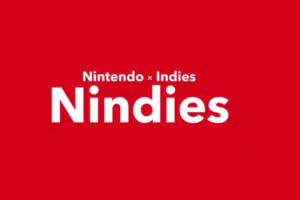 then this should already be on your shelf for the platform of choice, everyone else should at least give the game some consideration though – especially fans of the genre.